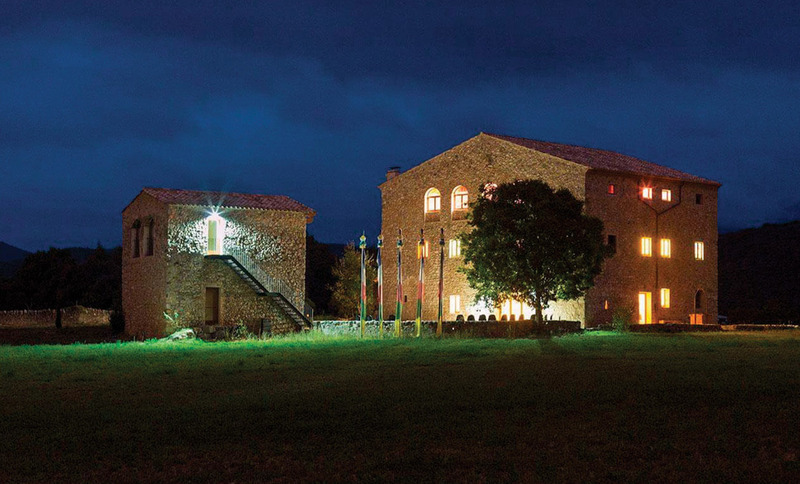 Can Camps is situated in the heart of the beautiful region of Garrocha, in the municipality of Tortellà (Girona). It is the last valley before the Catalan Pyrenees. 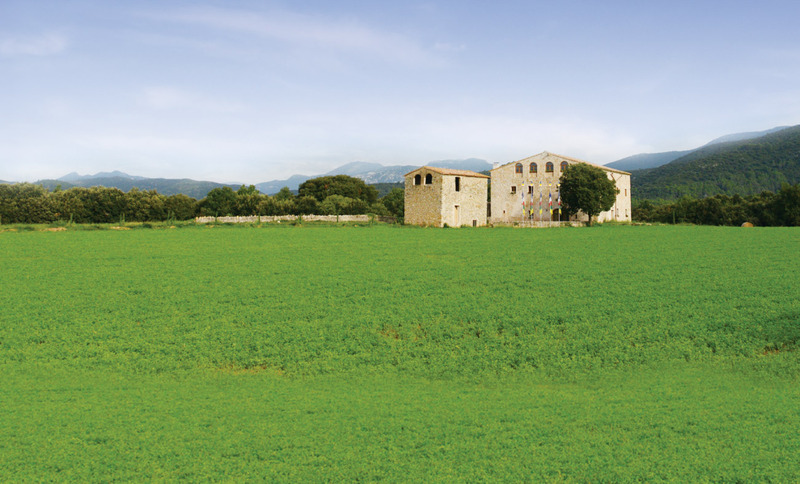 Situated in a mystical place, surrounded by monasteries and sacred mountains. 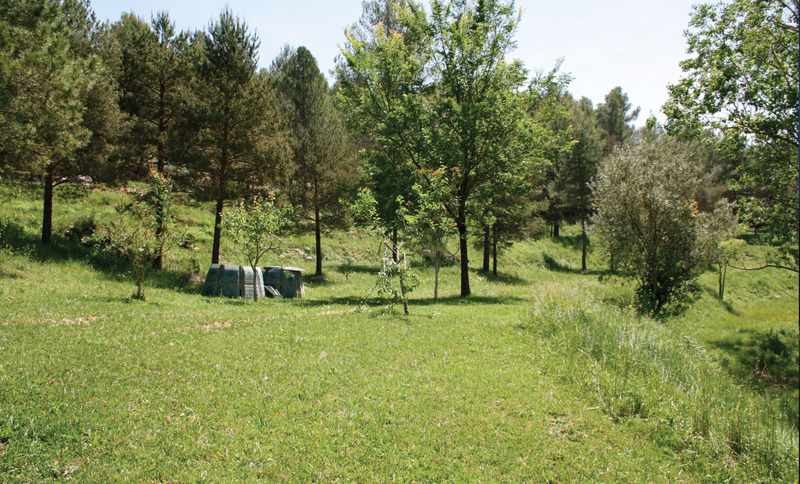 Can Camps is an ideal spot for studying, the practicing and the spreading the New Paradigm. It is a space for the alchemic transformation of human beings. The CAN CAMPS spirit is held in two fundamental pillars: the CONSCIENCE and the COEXISTENCE. Both have a great power of transformation on human beings. The sharing of knowledge, meditation and living together are the fundamental tools for the transformation that we aim to foster in Can Camps. Living together in an enchanting natural environment set us free: we can really know each other and fraternize from the heart, open ourselves up to love and to the basic goodness. We have to recognize in our hearts that we are essentially good. To recognize that Love, Conscience, Compassion, Tolerance, Generosity make us free and happy. 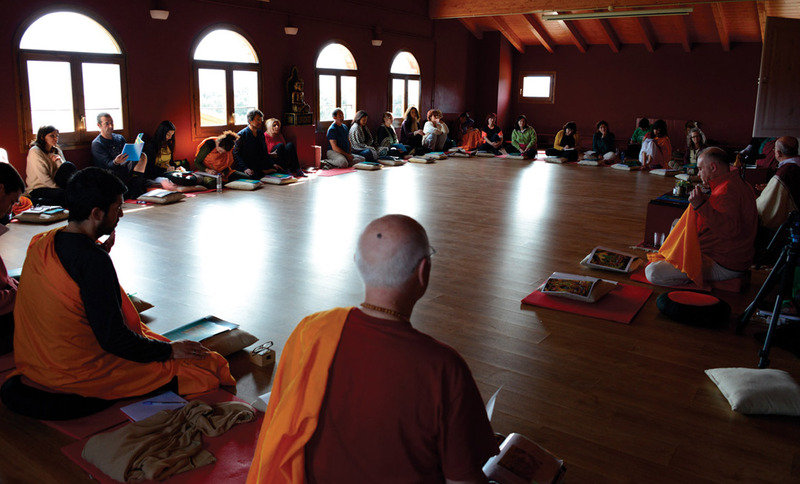 The solo retreats Centre of the Buddhist Tantra Sangha is called Khandro Ling, that in Tibetan means “Dakinis' place”. It was blessed by the presence of H. H. Shenphen Dawa Rimpoché, spiritual authority of the Dudjom Tersar Lineage. Situated in the beautiful place of the catalan Pyrenees, it is a nice place, silent and perfectly habilitated to make spiritual retreats. 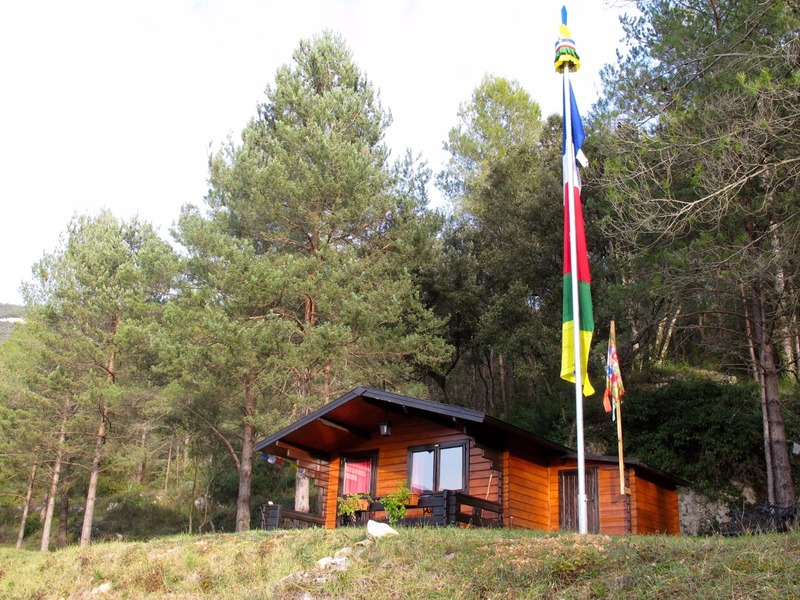 It has two spaces for retreats: an apartment and a cabin, equipped with everything necessary to practice Dharma intensively in the solitude of the mountains. 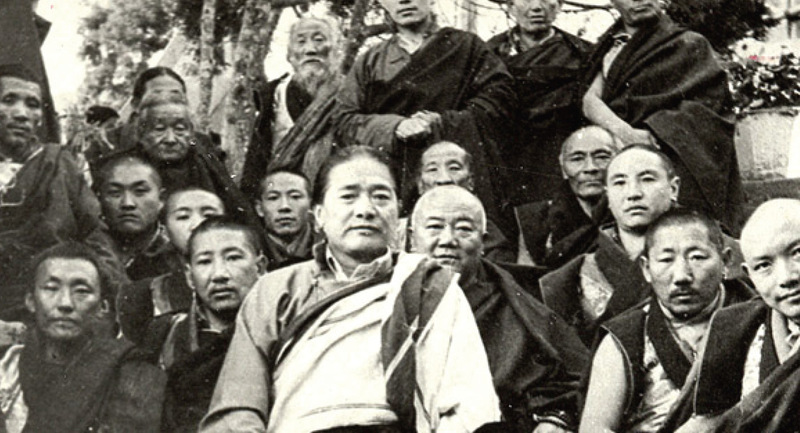 The Dudjom Tersar Lineage is a lineage of Yogis and Yoginis. Since the times of Guru Rinpoche, yogis and yoginis practiced in the solitude of the mountains. At the end of the first great teaching Guru Rinpoche gave to his 25 disciples, in the newly inaugurated Monastery of Samye in Tibet, the Master sent each one of them to a different cave to practice in solitude. This is the tradition. It is in the retreat where one realizes the enormous blessings this Lineage of teachings has. A retreat is a quantum leap forward in our spiritual realization. In every retreat we take a giant step. Our trust in the practice will be incremented, our devotion toward the Master will grow. “Every year we become older. Time is limited. The moment to make retreats is now. Later your body will not be able to do it. MAKE RETREATS NOW! There is nothing more important than practice. Achieve Realization! You are really lucky to receive the Teachings of this Lineage. Dedicate time to yourselves now. YOU HAVE TO CREATE TIME AND SPACE FOR THE PRACTICE. At the time of your death, all you would have done during your life will be irrelevant to you. What will be important is you will fusion your mind with the mind of Buddha. Save some money and time to make retreats”. InformationDo you want to receive information about our activities?